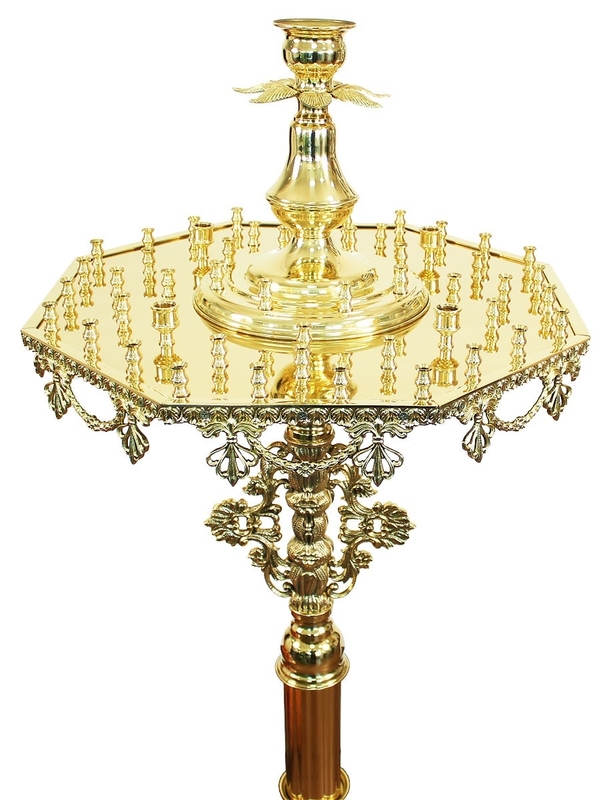 Floor candle-stands: - Istok Church Supplies Corp. 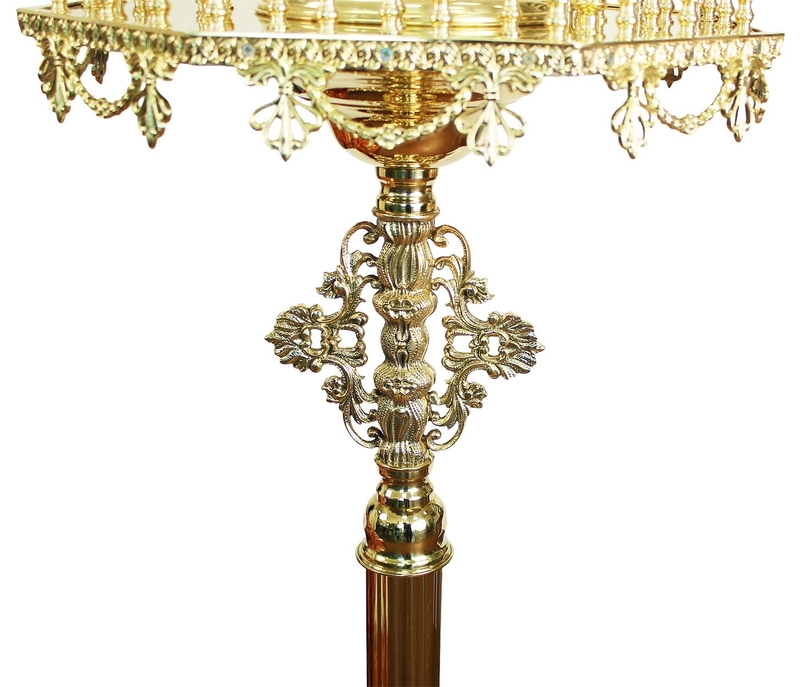 Excellent traditional large sand candle-stand. Brass, casting. Size: 22.4''x58.3'' (57x148 cm). I hold your company in the highest regard and plan to be a customer for many years to come - again thank you! My vestments have been received. Nice job. Thank you!